I grew up behind the Iron Curtain, like many people in Eastern and Central Europe. All my life I wanted to go behind the Wall, to go on the other side. But in fact I never saw the Wall. It was difficult to get close, they wouldn’t let us. To try to get close meant that you are trying to escape. But in spite of that the Wall was present all the time in my mind. I wanted to get out of the cage, to see what was on the other side. I knew that what they were telling us was not true, that they were trying to manipulate us. I wanted to learn for myself what the truth is. 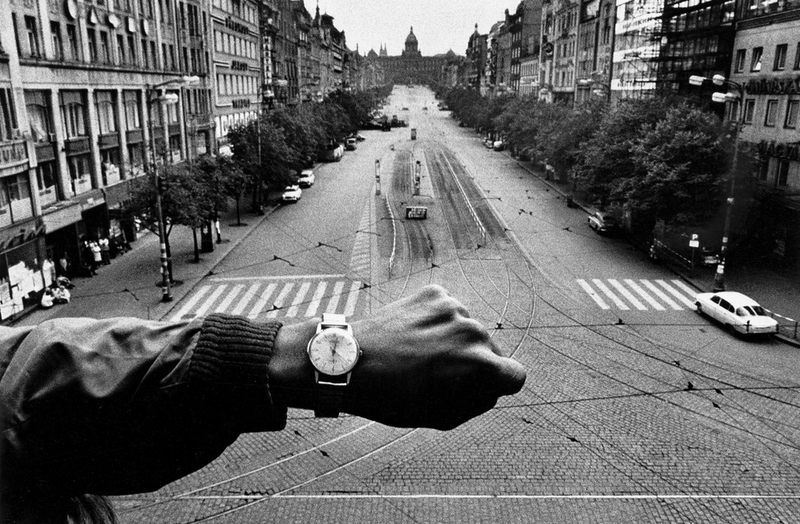 Exiles, 1968, Wall… Josef Koudelka’s work makes borders visible, while his personal story of a nomad, based upon his work and views. He has been crossing many borders, challenging the ‘Old World’ by that. Which role does his testimony of isolation and communication play in these days?